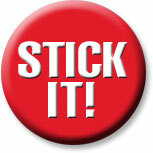 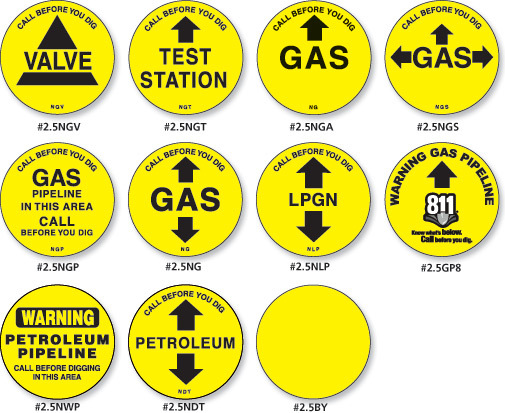 To see all of our Stock Markers scroll down. 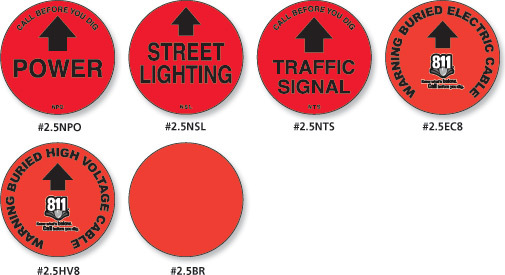 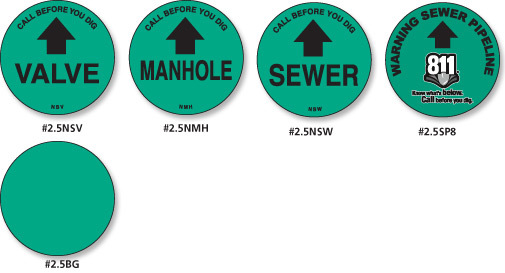 Permanently mark your underground utilities in areas where conventional signage can’t be used. 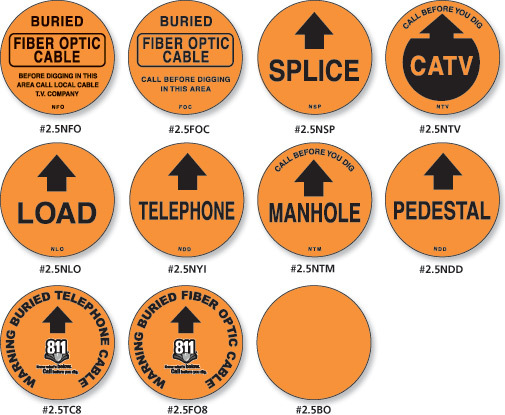 All stock titles are bright APWA colors making it easier for you to locate facilities for repairs or routine maintenance and to protect against accidental dig-ins. 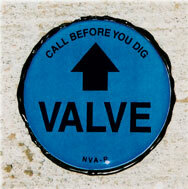 Alert potential excavators and protect your equipment by displaying a “Call Before You Dig” message. 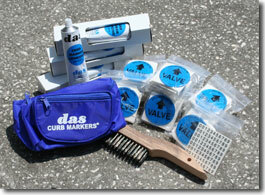 Customize your markers on-site using das Decal Sets or das Marking Pen. 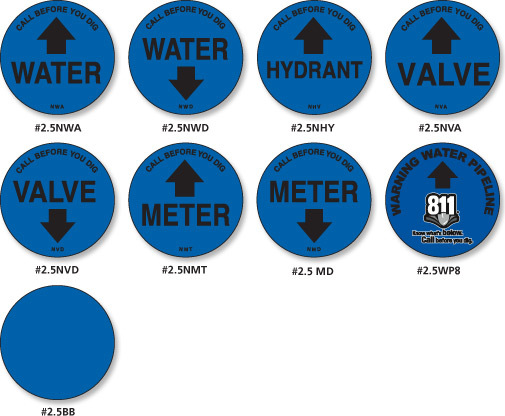 Indicate distance, equipment I.D., number of turns, etc. 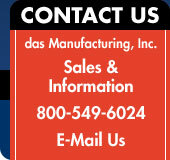 special price. 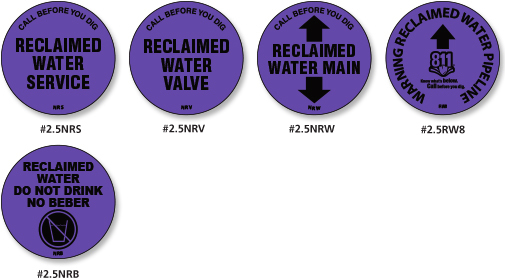 Your choice of Stock Titles!